Where do urban chickens go when they’re done laying eggs? 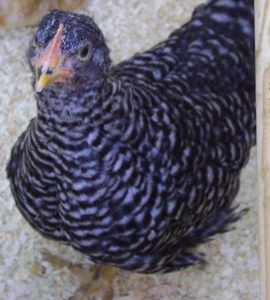 When an urban chicken’s egg-laying days are over, she might become dinner, she might live out her life as a pest-eating pet, or she might even be moved into a “retirement home” for aging urban chickens. A far-fetched idea in decades past, the poultry-retirement home’s existence serves as a reminder of the growing popularity of urban farming,* the need for animal owners to plan ahead for the lifetime of their animals, and a portrait of the “livestock-as-pet” phenomena that probably occurs more often than many farmers admit. Do you keep chickens? And if so, what are your opinions on a “retirement home” service like this? Stella the friendly urban chicken, one of NAIA’s regular subscribers. * Portland, Oregon has more than 26 times the number of urban chicken permits today as it did twelve years ago. I used to raise baby chickens when I was a little kid. Every year my mother bought a dozen Rhode Island Reds and I raised them from day one chicks to adults. A couple would become pets with names. They would sit on my lap and sing. …yes…chickens do sing their very own chicken songs. Since we lived on a farm, they could live out their lives after their egg laying careers were over. I can see that urban chickens could become nice family pets after their egg laying days ended. Chickens are interesting, just as most of nature’s wonderful creatures.